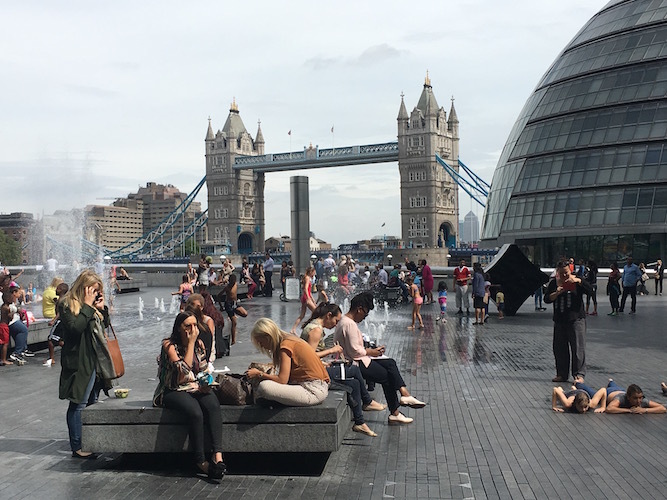 On 1 February 2018, this website’s first birthday, I launched a crowdfunding campaign with the aim of keeping On London going and growing for at least another year. Thanks to 434 supporters, over £25,000 were raised and, 12 months on, the site is indeed still going and has grown. With its beautiful, new Hutch Agency design, it carries more content by more contributors and is read by more people. Now, I want it to get bigger and better still. These are momentous times for the UK’s capital city. After three decades of economic and population growth it has entered a period of increased anxiety and uncertainty. Brexit is approaching and concerns about the social fabric and the whole character of the place are intensifying. There is an urgent need for journalism that reports, explains and comments on this new phase in the city’s history with breadth and in depth and that challenges the endless, misleading populism of so much coverage of London, found right across the media spectrum. Being in a position to commission work by more of the very best writers on the big London issues and pay them respectable money for their work. Being able to hire a bit more editorial support which, in plain English, mostly means help with the technical stuff (which I’m clueless about) and someone to be my deputy when I’m out and about or very immersed in writing things. Me making a living again. Since starting this site two years ago, I’ve got by almost entirely on my savings. None of the crowdfund money has gone into my pocket so far. That’s all fine, I’ve no complaints, but the well will run dry before too long. To achieve those three goals I am actively seeking organisations prepared to put substantial sums into the On London bank account and to do so solely for the pure and simple reason that they believe in what I and the site’s contributors are trying to do. What are “substantial sums”? A full answer to that question will be available in the simple business plan a well-qualified ally is kindly putting together for me. But they will need to add up to a budget that can sustain paying a core group of up to ten freelancers contributing content on a pretty regular basis; paying for that editorial support mentioned above; and paying me. I don’t have expensive tastes and don’t need a huge salary, but I’d like those core contributors to enjoy better rates of pay than the often dismally low ones for online work offered by even long-established, well-known media organisations these days. There is far too much low pay in London and I have no wish to add to a problem I want to see solved. Making a good job of reporting this vast, varied and immensely complex city is an enormous task. Explaining clearly and well how it works is it difficult one. There are plenty of opinions about London flying about, but not enough are finely measured or properly informed. On London wants to do more to try to put that right, concentrating in the city’s politics, development and culture. But also, and increasingly, I want the site to look more closely at London’s place within the current and future United Kingdom as a whole as it moves into a post-Brexit future that is difficult to predict. And what of London’s status as a pre-eminent “world city”, internationalist, cosmopolitan and open? Is that going to shrink or might it positively evolve? How can it better harness the effects of globalisation for the benefit of more Londoners? Questions like that need addressing too. I’m not seeking to turn On London into a big media company, with dozens of full time staff. It will continue to be run almost entirely by me from the small room in my home in Clapton which has served as my office for more than a quarter of a century and which I’ve never got round to tidying properly. However, with financial support of the right type and on the scale I am now looking for, it can expand substantially into a significant alternative to the generally poor media coverage of a city that can be so very inspiring and so deeply troubling at the same time. As its masthead says, On London is For The Good City. In its small way, it wants to help the UK capital become better place, for Londoners, for the UK and beyond. People and organisations interesting in providing financial backing for that mission can email davehillonlondon@gmail.com. And, of course, there are “donate” bars and buttons on the site itself. Thank you.